Tenerife’s beaches, nature, and weather make the Island an attractive destination for millions of visitors every year and they also make the Island the perfect place to undergo a medical treatment. 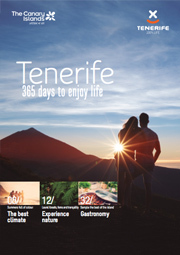 Tenerife boasts a hospital network with leading qualified professionals and the latest technical and surgical advances. Their treatments and surgeries are second-to none. These centres meet the medical and sanitary standards of an EU country but with significant economic advantages over most European countries and America.